The 4GS mattress system combines a superb Huber Technik top cover which is 4mm thick and backed with a special strong inlay mesh exclusive to Huber Technik products. This interaction point with your animal is gently textured to provide stability and is manufactured from 100% pure rubber compound which has not previously been vulcanised. This top cover is proven in test to be 6 times stronger than Chinese competitors. The foam pads that form the inner part of the mattress are 30mm thick special compound foam made from 50% latex and 50% polyurethane.This mix leads to exceptional shape retention and comfort. This combination creates the perfect balance of comfort and durability in a simple yet proven installation system. 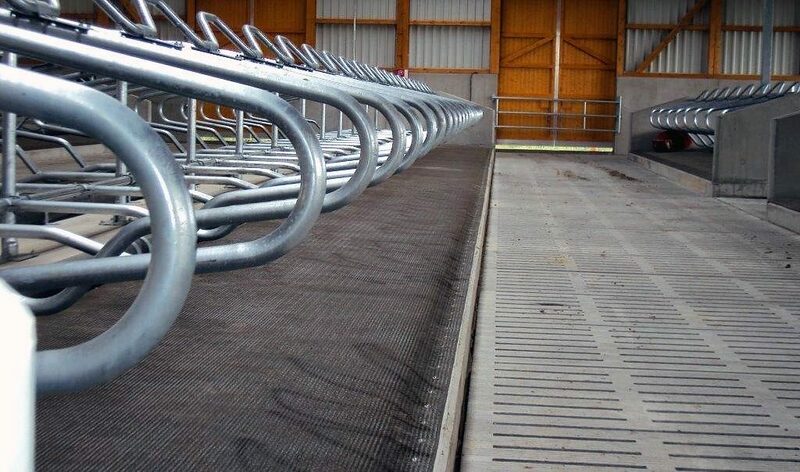 More than 500,000 cows are lying on the 4GS mattress system across Europe, Ireland and North America 365 day housing systems, so the proven acceptance and performance of the product can be continued into the UK marketplace. Deformability and Elasticity – Evaluates softness, comfort, and elasticity of a rubber mat before and after use, simulating 10 years of normal use. Lying time comfort test – In independent tests the 4GS Mattress Solution had 16 hours lying time versus 13 hours in an EVA mat and 6 hours of that of a basic solid rubber(no bungs) mat. Abrasion Test – Evaluates top-surface wear. 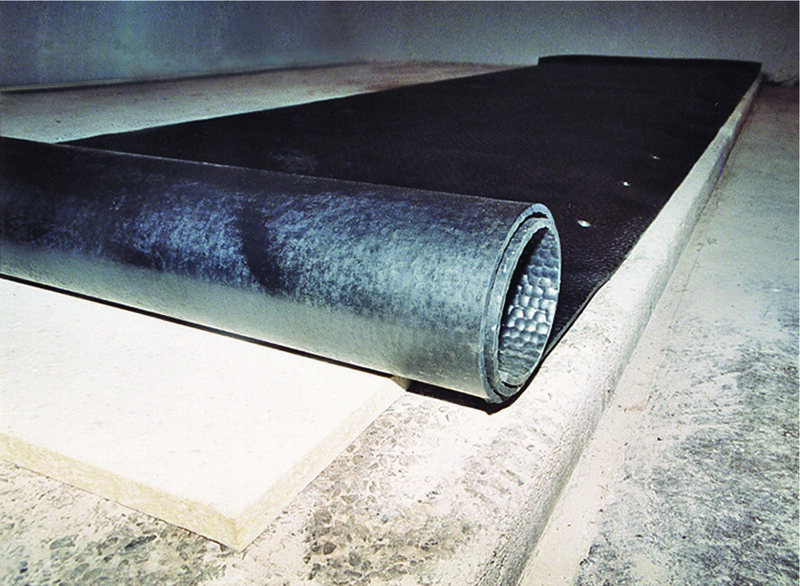 After 10,000 rotations mat is measured to evaluate top-surface wear resistance. 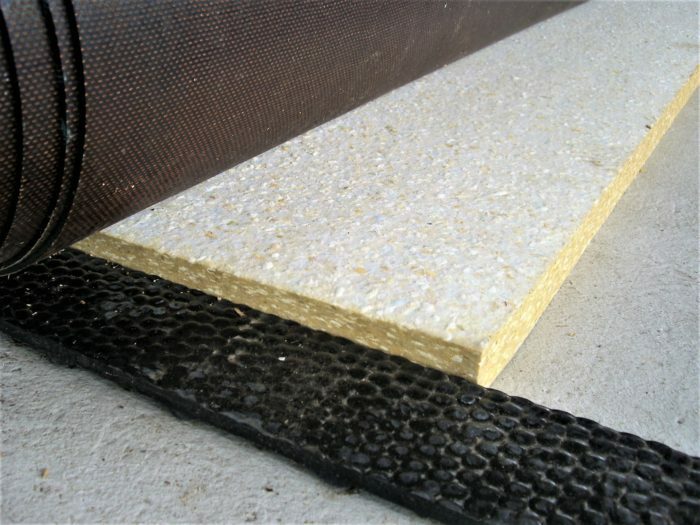 Slip Resistance Test – Evaluates top-surface grip of a rubber mat. 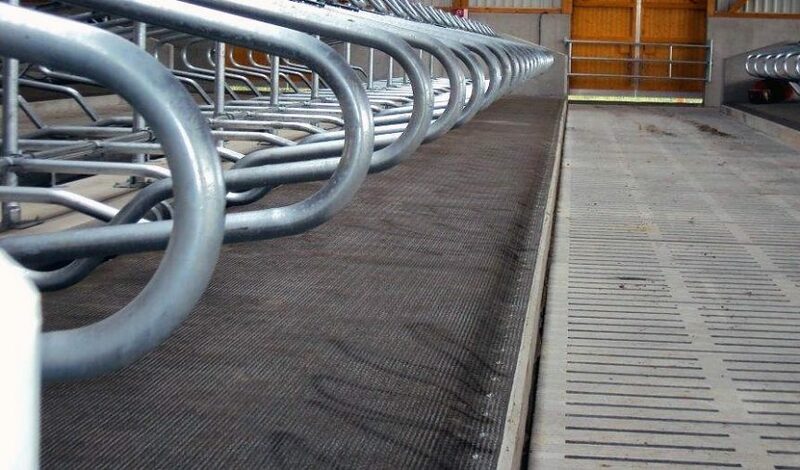 Surface grip prevents a cow from slipping. 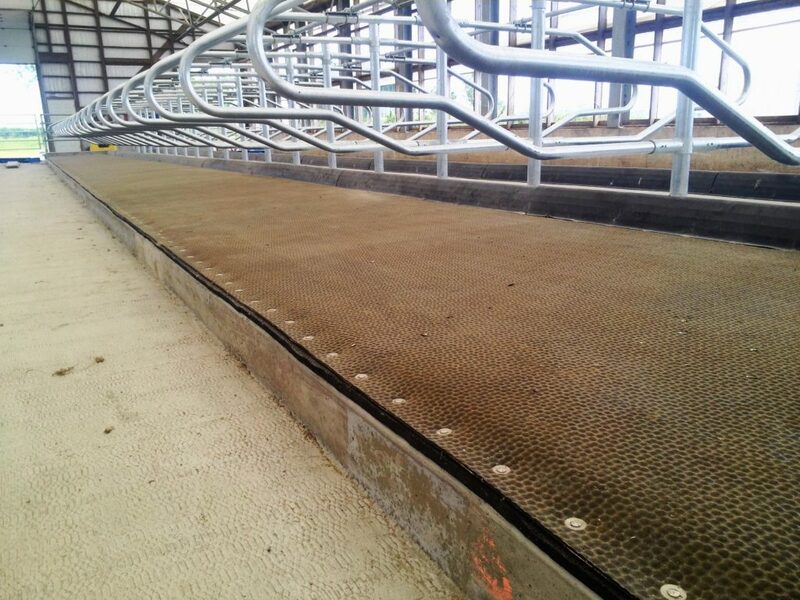 Relevant resistance measurements of a wet and dry mat are recorded to evaluate the overall slip resistance. Today, the word rubber denotes many synthetic materials with elastic properties. Rubber has the ability to cross-link under heat and high pressure. This process provide rubber with the desired and final form. This rubber specific cross linking is call vulcanisation. This process happens only once and cannot be reversed. Is it new rubber or a rubber regenerate? Vulcanised rubber cannot be melted and newly pressed. It can only be broken up with a high amount of energy. Regenerates come mainly from broken up old tyres. They have little binding strength left (ability to cross link). In order to reshape them, bonding agents must be used. Regenerates are primarily suitable for relative hard, large volume components. Is it natural rubber or a tyre mixture? Huber Technik uses only new tyre rubber, with a minimum of 90% of it having not been vulcanised. 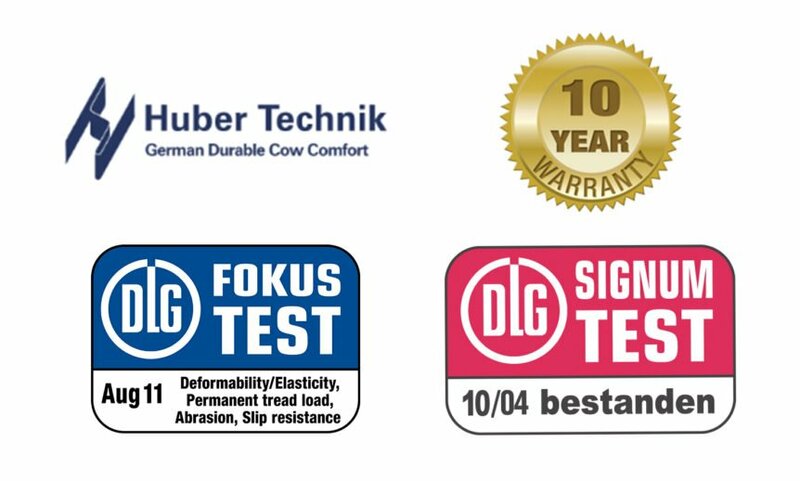 Tyre mixtures contain valuable additives, which assure age resistance. Lower priced natural rubber mixtures do not contain those stabilisers. Therefore, the influence of light and air (ozone) easily makes them brittle. A high specific weight (>1,2) is an indicator for a high amount of fullers (chalk) in the rubber compound. Fillers make the compound heavier and cheaper. A high amount of filler is not an advantage for a products elasticity and durability. What does wear and tear resistance mean? To determine the wear and tear ability of rubber products, tear resistance, stretching ability at the breaking point, and abrasions are primarily examined. These criteria are clearly superior in new rubber. Why do you need a inner liner of fabric? 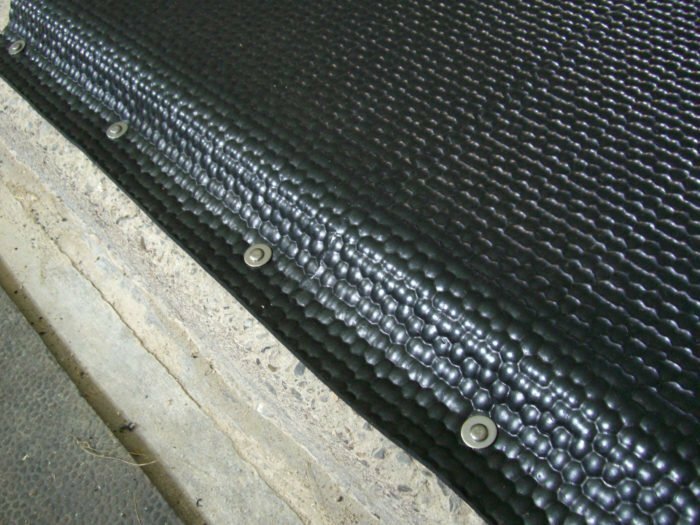 Coverings made of high quality new rubber must not be very thick in order to offer elasticity, comfort and durability . The fibre insert made of polymide polyester stabilises surface coverings and minimise rubber specific stretching. In thin surface covers the fibre must carry the load. 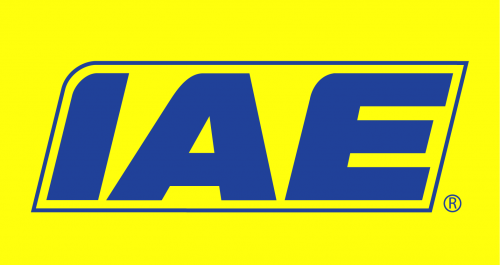 The rubber provides solely a protective surface and wear and tear protection. Please call +44 (0) 1782 339320 for more details or request a call back.